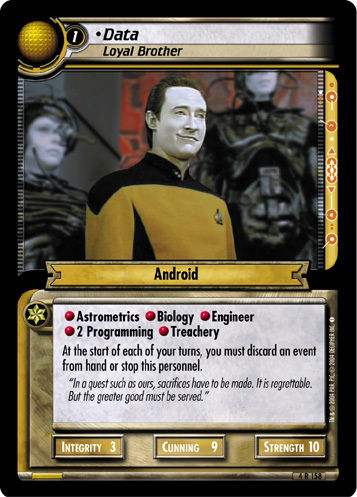 While this personnel is attempting a mission, you may discard an equipment or event card from hand to make him attributes +2 until end of this mission attempt. "I need you, Goval. 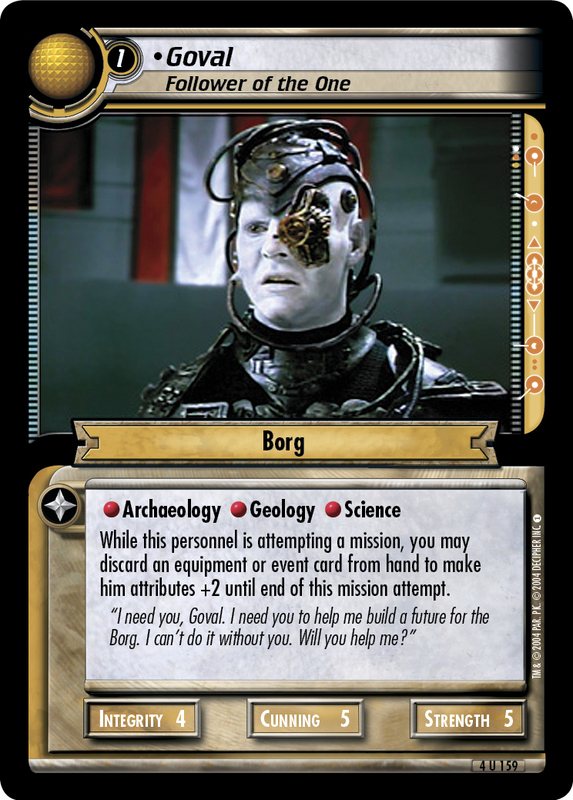 I need you to help me build a better future for the Borg. I can't do it without you. Will you help me?"